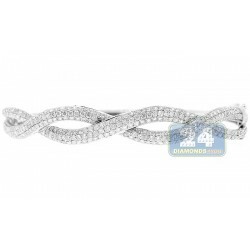 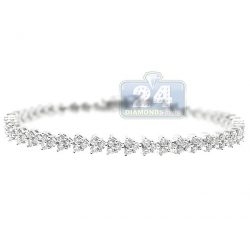 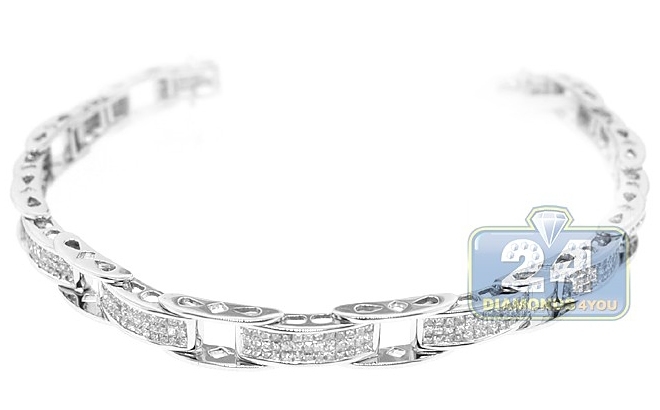 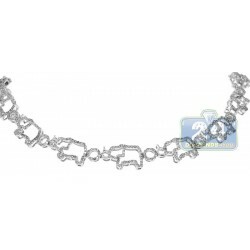 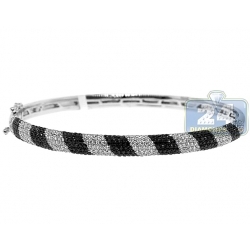 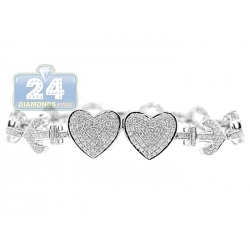 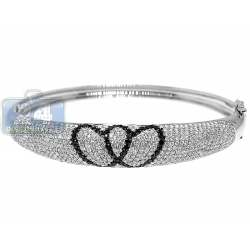 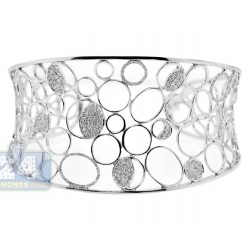 This is a gorgeous women's diamond link bracelet designed in classic bicycle style! 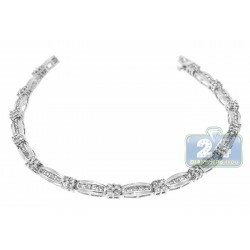 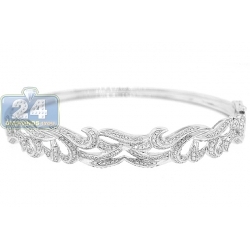 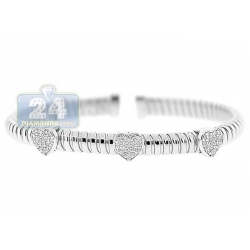 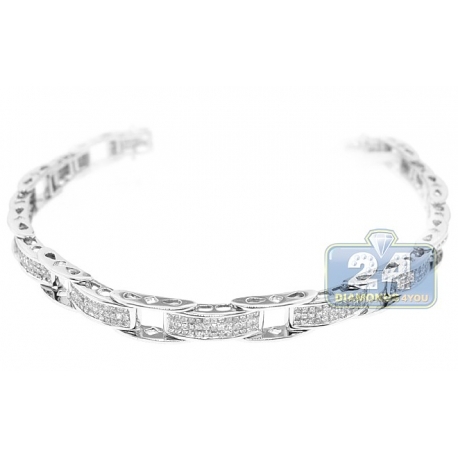 Professionally made of cool 14 karat white gold, it has highly polished smooth finish. 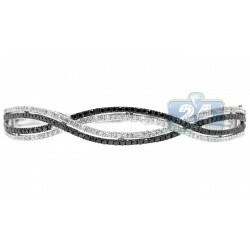 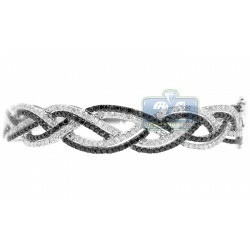 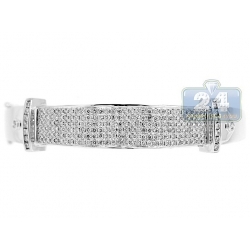 Our women's wrist bracelet is invisible set with lustrous white princess-cut natural diamonds, all totaling 3.10 carats. 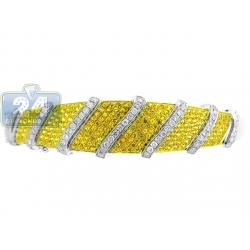 The piece features 7.5 inches in length and 6 mm in width. 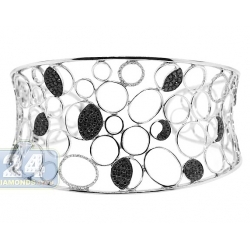 The most desirable addition to your jewelry collection!